GIVE A PERFECT GIFT TODAY ! For regular donation (monthly, quarterly etc) of desired amount please fill up ECS mandate form and send it to us. Download Patronship Form. Bank Name : HDFC BANK LTD., Branch : Malviya Nagar, Jaipur (Rajasthan) India. 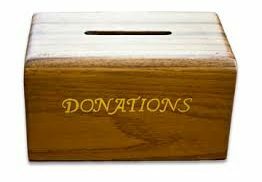 Note: From Financial Year 2017-18 onwards – Any donations made in cash exceeding Rs 2000/- will not be allowed as deduction. Thus the donations above Rs 2000/- should be made in any mode other than cash to qualify as deduction u/s 80G.